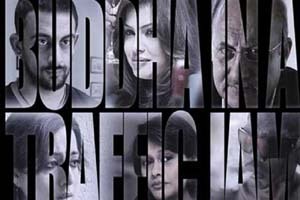 Buddha in a Traffic Jam is a 2016 Hindi autobiographical film based on its writer and director Vivek Agnihotri's life. A film is jointly produced by Suresh Chukkapalli, Abhijit Pai, Vivek Agnihotri. It stars Anupam Kher, Arunoday Singh, Mahie Gill, Anchal Dwivedi, Pallavi Joshi, Gopal K. Singh, Indal Singh, Asif Basra, Jayant Kripalani. The soundtrack of film is composed by Rohit Sharma, with lyrics penned by Faiz Ahmed Faiz. Here is the link of all the songs lyrics and videos of Buddha In A Traffic Jam.